I used to working in a bedding department at the mall in high school and I discovered what was called a “European pillow”. I’ve never head of such a thing back then, but loved how they looked on the display beds we had to make. During this bedroom makeover competition I knew I wanted big square European pillows and I can’t wait to show you how easy they are to create! The dimensions of a European pillow sham or usually 26×26 or 28×28. 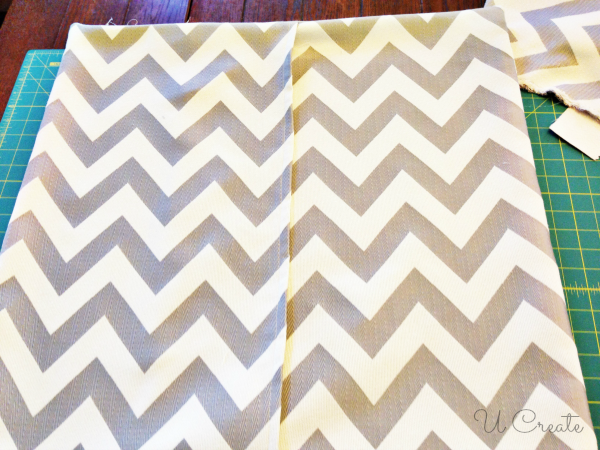 I purchased a size 26×26 at my Kohl’s store and got to work making two shams. You’ll need the three fabric pieces above. 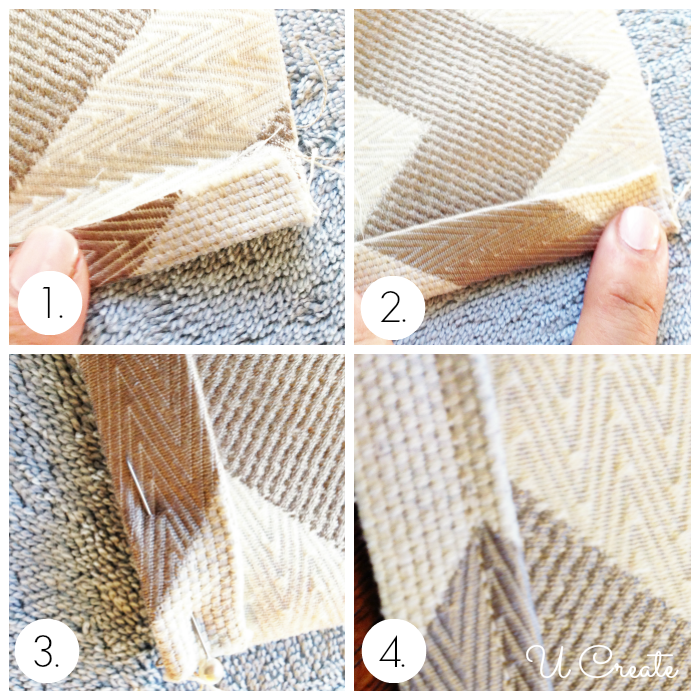 *TIP* These dimensions are for a 26×26 European pillow, if you are using a 28×28 size you would just add two inches to the above dimensions. 1. 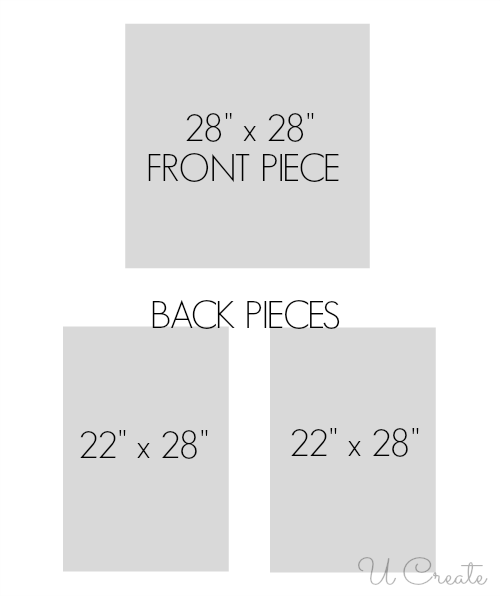 Grab one of the back pieces and fold & iron 1/2 inch down on one of the 28” sides. 2. Fold over another 1/2 inch and iron down. 3. Pin your iron fold to make it secure. 4. Sew a 1/4” inseam down the side. Repeat steps 1-4 on the other back piece. Next you will lay your back piece right side or also called patterned side facing up on your table. Then you will lay your back pieces right side facing down like the picture above. Pin all 4 outer sides and sew a 1/4” inseam on all 4 outer sides. Flip right side out and stuff with your pillow and you’re finished!! 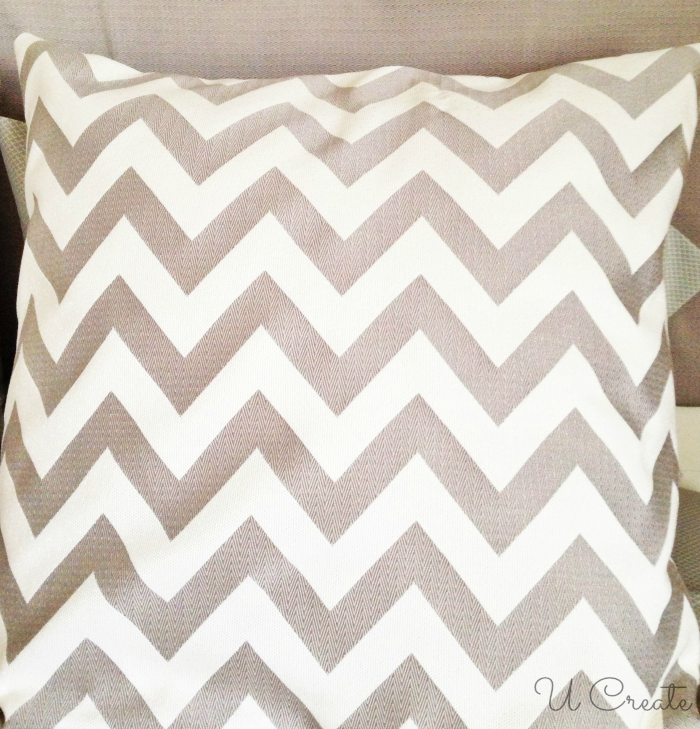 Interested in making a reversible throw pillow? 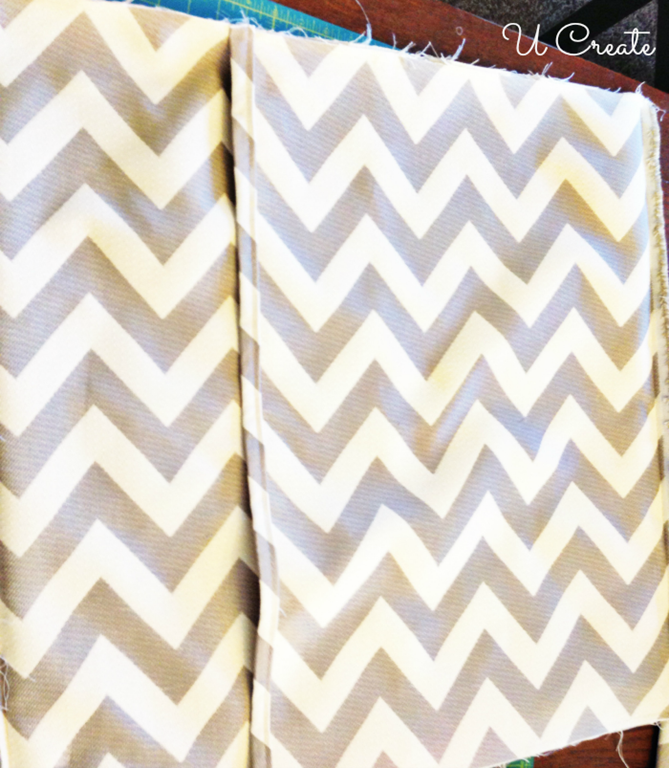 The top left corner pictured is just that – reversible. Click HERE to see the other side! 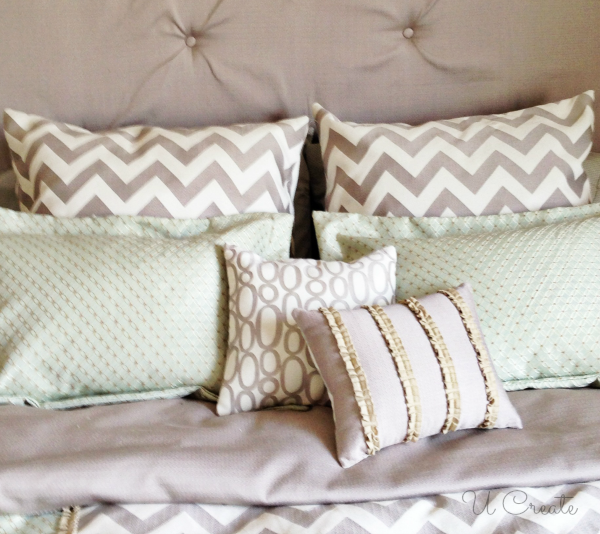 The pin tucked pillow and standard sham tutorials coming this week! Lovely tutorial. Your pillows are precious! will you be posting a tutorial on the regular pillow cases shown? This solved a big problem I have. 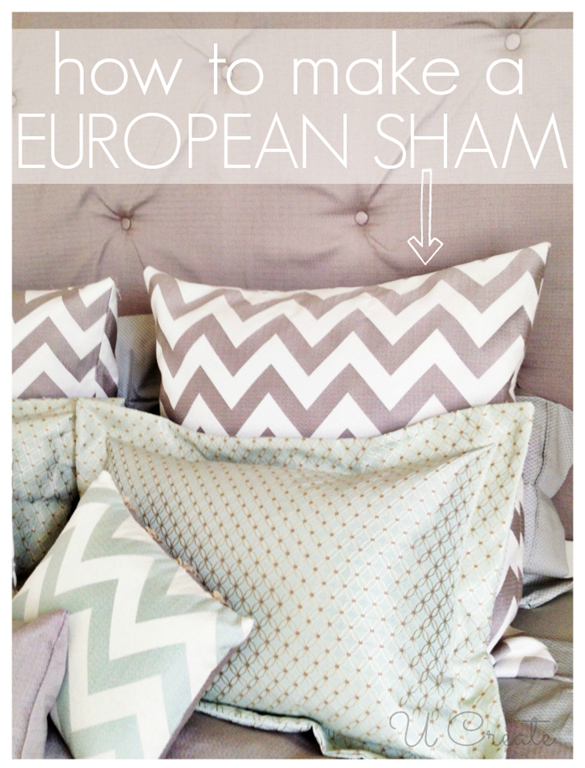 Thank you for reminding me that I don’t have to pay big bucks to get lovely shams for our Euro pillows! Nice tutorial. 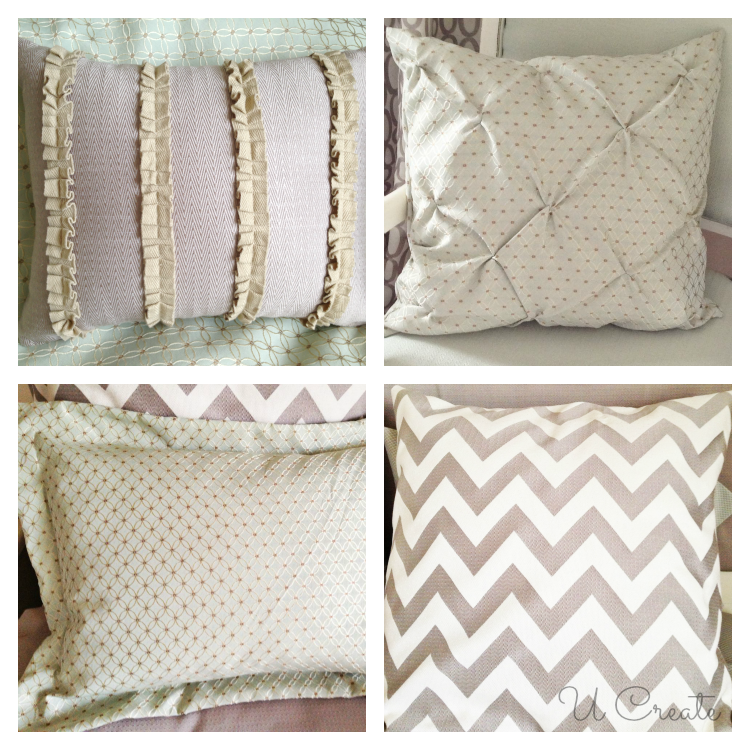 May I share what I do when I make pillow covers? I make them slightly smaller than the pillow dimensions, so that the pillow needs to be squooshed into the sham — it stays nicer that way. This is especially good with down/feather pillows. For them, I go a healthy 1-inch smaller. For poly pillows, a half inch. Again — thanks for the refresher course. Your pillows look GREAT. Hey just found you!!! Great tutorial. Just made two shams out of knit jersey for my daughter to take back to college!!! Thanks !!! Thanks, you saved me from thinking it through. They came out lovely. Thank you so much, was able to make something I liked since I havent been able to find it. Thank you! I wasn’t sure of the case measurements. You just saved me a’lot of time and mistakes!